Blog Is Your House Toddler Safe? 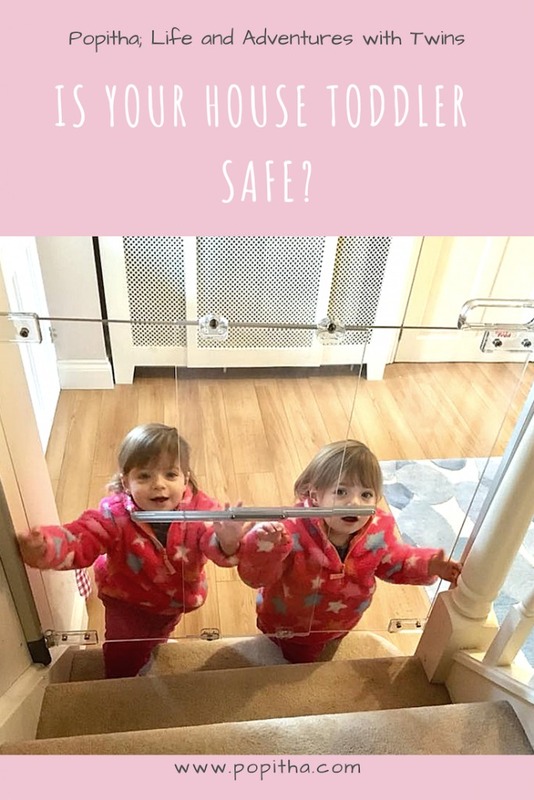 Is Your House Toddler Safe? There comes a time when your tiny babies start to grow up. This is a special time. A time which, as parents we feel proud of. It’s a time where lots of memories are made; The first time they roll over, the first time they crawl, the first time they walk – The mobile stage! We all love to see our babies starting to explore to learn more and more about the world around them. Whilst this is a wonderful time watching your child finding their own independence, it is also the time when parents need to start taking some precautions to ensure that our little ones stay safe – it’s surprising how much mischief they can get into in such a short space of time! Nothing beats parental supervision but accidents can happen. Short of moving into a house made of sponge, there is no way to mitigate against every single potential danger in the home and no matter how hard we try. If you are looking for other toddler tips, click here. As silly as it sounds, get down on your hands and knees to experience your environment from your child’s viewpoint. Move through your house at that level looking for anything that might tempt little fingers. Is there anything in reach that could be pulled and topple down? Look for open access and use stairgates to limit these (particularly if you have open staircases). We even put one on our lounge door frame as I didn’t want the door to be shut the whole time. Attach slam guards onto doors to safeguard little fingers. Install cupboard locks and drawer stops where necessary, but consider that it can be enormous fun for curious toddlers to investigate the contents of the kitchen cabinets, so if you are prepared for the slight tedium of repetitive tidying, leave one harmless cupboard unlocked. That collection of empty ice cream tubs will finally find a purpose, along with any other plastic or wooden utensils – anything that won’t object to being deposited on the kitchen floor on a regular basis and won’t harm your child. Think carefully about the areas in the home that hold the most hazards, usually the kitchen and the bathroom, and make sure anything that could potentially be dangerous is kept out of reach or locked away. One area which can often be overlooked when toddler-proofing is taller furniture such as bookcases, dressers and televisions which can be pulled over. With the help of some friends from Cheeky Rascals and Fred, Popitha have put together a few ideas of how to safety proof your house. The first place to start toddler proofing you home, I found was the kitchen and the stairs. You turn your back for 10 seconds and they are in a cupboard or up the stairs. Two of the most dangerous places to be. Cheeky Rascals and Fred are working very closely together to keep babies and toddlers safe. Cheeky Rascals supplies mums and dads* with brilliant nursery products from across the globe. Fred is a relatively new company who supplies safely products to parents like you and its products can be purchased through Cheeky Rascals. Each and every clever little idea is designed to improve child safety to give you peace of mind. If you need more of anything, you can buy them all individually too. Just click here. Fred don’t just have safety in mind, but they also have style. They appreciate that just sometimes, you want to keep as much as possible looking nice and they have come up with stairgate designs that are either discrete or look up to date and classy. To get yours, click here. These simple precautions can make sure your little explorer stays as safe as possible on their everyday adventures. Making your home safe is essential if you are to be able to relax with a small person in the house. This pack contains 7 individually designed safety products to protect against risks common to most homes, plus a tool for you to check small objects that represent a choking hazard for your child. Quick and easy to install, you won’t need to find tools to install any of these products. Fred SecureHold™ and ExtremeHold™ adhesives ensure a powerful and durable bond that attaches to most surfaces in your home, and won’t be broken by small children. Bite-proof and choke safe. These are not toys, but are all made from bite-proof, food-grade materials for extra reassurance should your child put one in their mouth. Every individual part is choke-safe. Damage free removal.By following the instructions, you’ll leave no sticky residue and be able to remove them without damaging most surfaces. Use the Choke Tester from about 3 months when babies start to grasp small objects left in reach, and everything else from when your baby starts to move, normally about 6 months of age. For further safety tips and advice, head over to Fred Safety, just CLICK HERE. ** Some of these products were gifted for the purpose of the article. However, all thoughts and opinions are Popitha’s.